While the balance for the Supreme Court may not register among the top three issues for many 2016 voters, the outcome of this year's Presidential and US Senate contests will determine the ideology of the next appointment, and the fate of issues that actually hit home for every American. Today's ruling by the Supreme Court was a major victory for women's health and reproductive rights, but potentially a fleeting one. 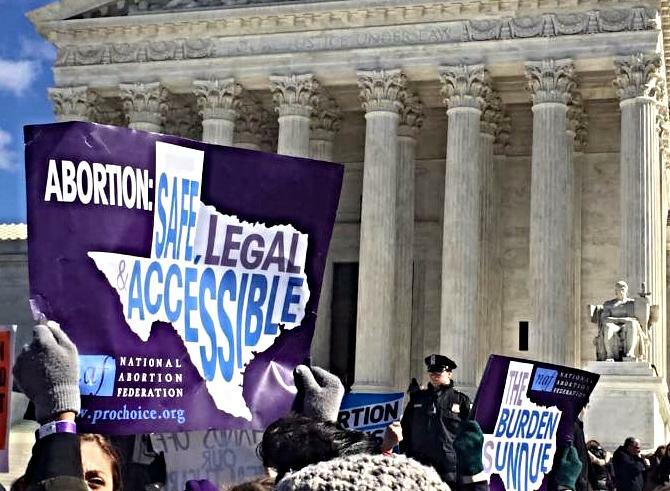 In one of three decisions announced today, the justices struck down Texas law HB2 - the same extreme anti-choice legislation that Texas State Senator Wendy Davis defiantly filibustered three years ago. 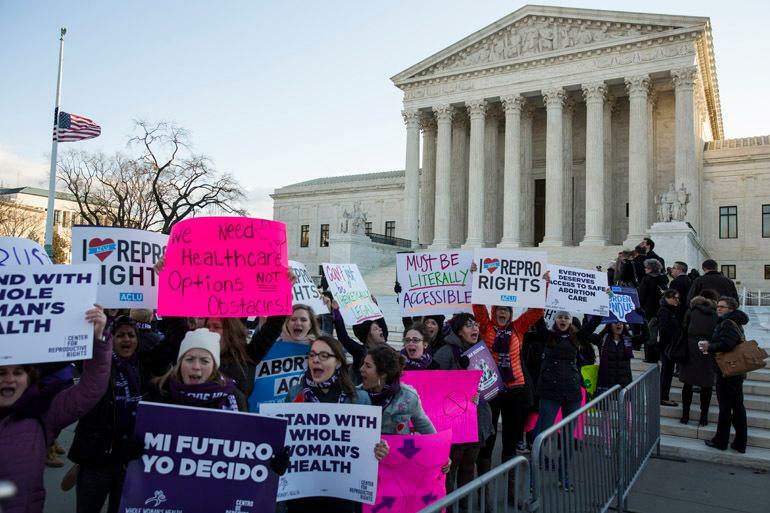 In a 5-3 vote, the court overturned the Texas legislation, which required abortion clinics to have surgical equipment and facilities comparable to modern hospitals. The extreme restrictions on the clinics, along with the requirement that their doctors have admitting privileges at local hospitals, are responsible for shutting down over half the clinics in Texas since the law went into effect in November of 2015. The ruling is considered the most sweeping decision affecting reproductive rights in twenty-five years, since the landmark 1992 Planned Parenthood v. Casey, cited in today's decision, which prohibits laws from placing an "undue burden" on women's right to get an abortion. Justice Anthony Kennedy delivered the swing vote in the decision, and the Justice Stephen Breyer delivered the majority opinion. Each of the 9 Supreme Court Justices are nominated by the sitting president of the US, and confirmed by the US Senate. 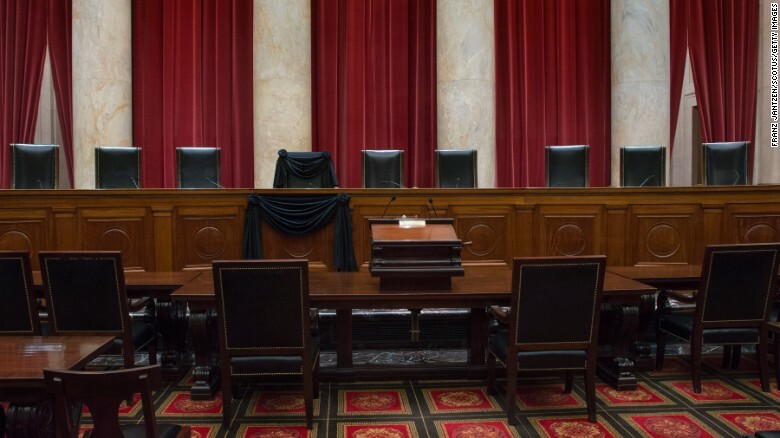 There is currently one vacancy on the Supreme Court, created by the unexpected death of Justice Antonin Scalia in February. President Obama nominated Merrick Garland, Chief Judge of the US Court of Appeals for the DC Circuit, on March 16, 2016. The leadership of the Republican-controlled Senate, however, has refused to schedule a vote until after the upcoming presidential election. The balance in the US Senate stands at 54 Republicans to the Dems' 46 (including 1 independent). Democrats have a 50/50 chance of taking back the Senate and in turn, control of the next Supreme Court appointment. To lose is to endanger all that was accomplished by today's decision. Every vote counts. That is the reality.